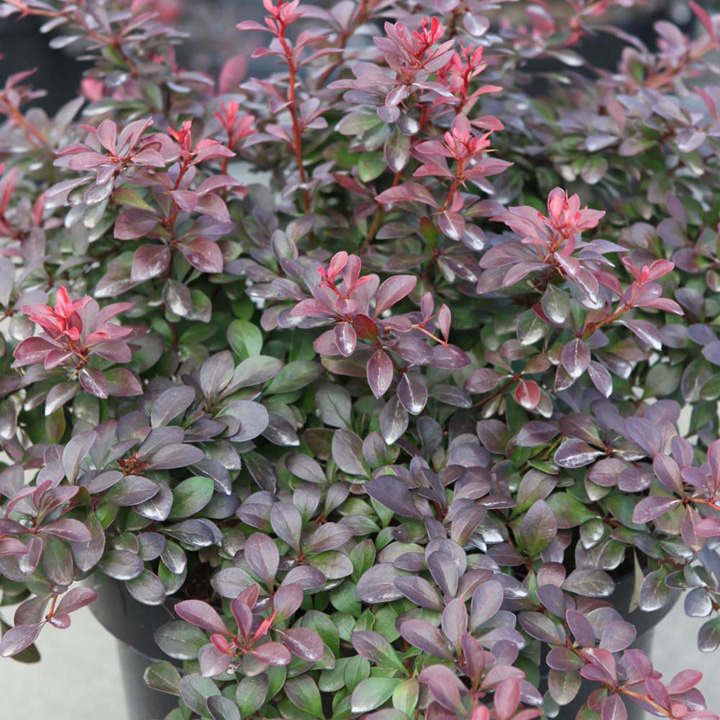 Berberis thunbergii f. atropurpurea 'Atropurpurea Nana' is a deciduous shrub with spiny branches bearing small rounded reddish-purple foliage that changes to bright red in autumn. Clusters of small, pale yellow flowers appear in late spring, followed in autumn by red berries. 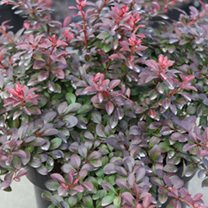 This low-growing, spreading shrub works well towards the front of a shrub border, or as a low hedging plant. RHS Award of Garden Merit winner. Flowers May. Height 40-50cm. Supplied in a 3-4 litre pot.